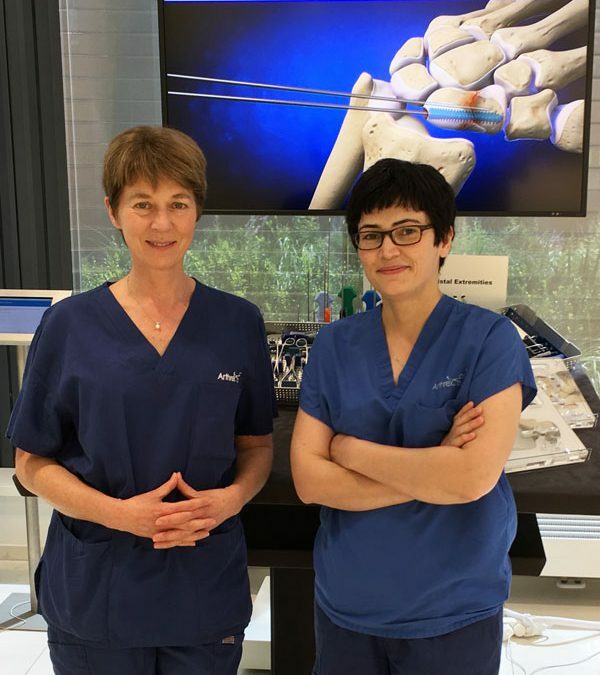 Visit to Arthrex workshop in Munich for simulation practice on new techniques in wrist surgery including arthroscopic assisted TFCC reattachment and plating systems for distal radius fracture. Fibre wire loop sutures for flexor tendon repair and the CMCJ tightrope device which I have been using for some while already. Shown here with friend and colleague Ladan Hajipur.